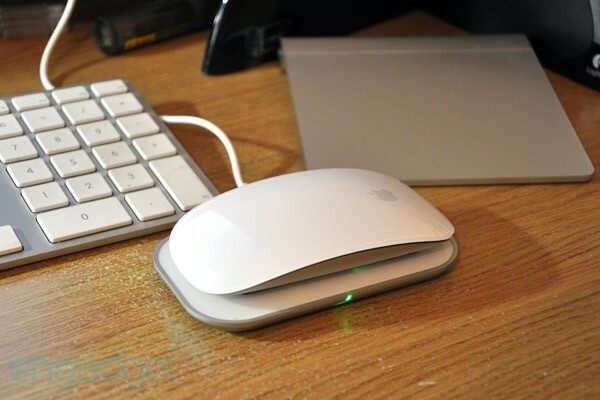 Magic Mouse 2 Overview: Is It Really Worth It? You are here: GeekSays Technology News » Apple » Magic Mouse 2 Overview: Is It Really Worth It? When you edit a video in Final Cut Pro X, for example, a mouse is a must due to the needed precision. Having this in mind, the Magic Mouse can be one of your most cherished accessories when it comes to your daily workflow. As you are probably aware, Apple updated its Magic Mouse with a couple of new features. The main feature of the new Magic Mouse is its built-in rechargeable battery. The new mouse is lighter; yet it has a sturdier build and has a better foot design for improved movement. But is it worth the upgrade? If we put the rechargeable battery aside, there’s really little to make you to actually desire the upgrade. However, there are some apparent differences. First of all, the tracking—the mouse goes more smoothly over the surface of a desk. That’s mostly due to the redesigned rails that allow the mouse to float on the surface. You won’t notice it immediately, but after comparing the two devices, the new mouse is smoother in its glides and makes less friction. The Magic Mouse 2 costs $79.99, $10 more than the original Magic Mouse. The increase is justified by inclusion of a Lightning cable. You can use the Lighting Cable for your iPhone, iPad, Magic Trackpad 2 or Magic Keyboard. Overall, the price isn’t too bad considering that the original model was only $10 cheaper. What’s best about Magic Mouse 2 is that it connects pretty much instantly with your Mac as soon as you plug it into the USB port. Anyone who’s ever been frustrated with the way Bluetooth can be finicky at times will certainly appreciate that – it’s just that easy to use. Also, the fact that you no longer have to deal with replacing batteries is a major improvement. Batteries were dying in the old Magic Mouse at the most inopportune times. Assuming that you use rechargeable batteries like most people tend to do, switching them out is always a real pain that we all could do without. With Magic Mouse 2, the musical chairs battery game is a thing of the past. When it comes to the batteries, the Magic Mouse 2 contains a built-in lithium battery just like all of the other accessories in Apple’s “Magic” line. For all three major accessories, a full charge is finished in mere two hours and it provides enough power for up to a month of regular use. That’s pretty impressive – imagine not having to charge a battery for a month. What’s even more impressive is that just a minute of charging delivers an hour’s worth of use. That’s great for those times when your battery dies and you just have to get a few more things done. Basically, you should never have to worry about your mouse’s battery life again—just be sure to keep the Lightning cable handy. One thing that critics are rather quick to point out is that Magic Mouse 2 can’t be utilized when it’s charging, but the fact that you can get an hour’s worth of usage from a 1-minute charge pretty much negates the need to use the device while charging. What it is really about is that’s an argument that people use to nitpick at the design. It is certain that Apple heavily considered the location of the Lightning port, and chose the location that it did for sound reasons. Apple states that the new built-in battery results in a more solid build, and less moving parts. Due to that, the Magic Mouse 2 feels sturdier, and when you shake it in your hand, you won’t hear the battery cover make shaking noises because there is actually no battery cover as such. As you can see, this isn’t so much a review of the functionality of the mouse, or whether or not the mouse is a good mouse when compared to other mice. If you have been following the latest IT/smartphone trends, then you probably know that the Magic Mouse is a polarizing peripheral. Some people love it, and some people absolutely loathe it. Top complaints have to do with its low profile position, which can make it awkward for some to adjust. However, it doesn’t take long to get used to it. This mouse is basically one big button, and the surface can be used for different types of gestures. It’s basically like combining a trackpad and a mouse into one. If you’re new to the Magic Mouse, you simply have to try it to be able to discern if it’s the mouse for you. For current Magic Mouse enthusiasts, the Magic Mouse 2 isn’t an absolute must-have upgrade, because it doesn’t really offer any new functionality. However, if you choose to get it, you won’t regret it. Based on everything that has been outlined so far, what is your personal opinion on the new version of the Magic Mouse? Does the new charging feature make it worth an upgrade? Let us know your thoughts in the comment section below. If you liked this article, make sure to keep following Geeksays for the latest news from the tech world.